This past weekend was a good weekend all round when we look at Bulawayo arts and entertainment. 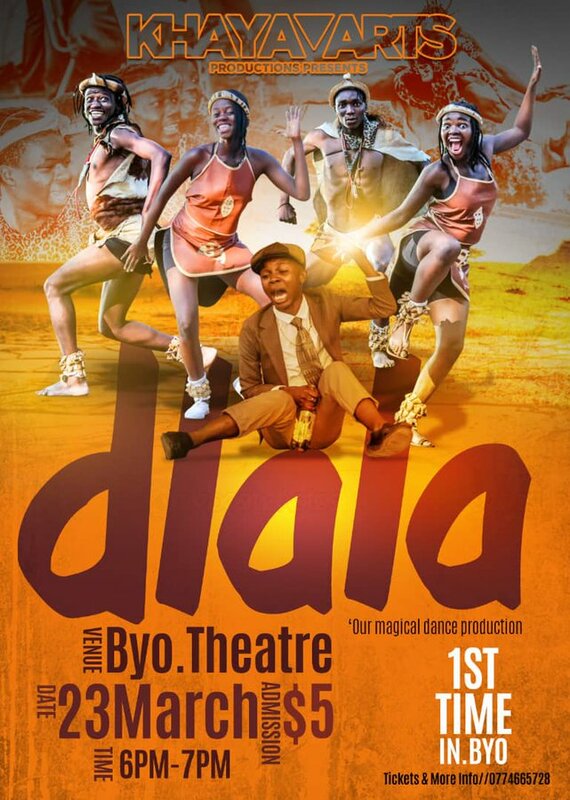 Two events that caught my attention were the dance production “Dlala” by Khaya Arts and the “Jazz Soul Sundae”, an event organised by radio personality/M.C Morris Touch. Both events had their glitches (time keeping as usual) but that cannot overshadow the great experience in them. Dlala gave Khaya Arts the opportunity to package what they have been showing off at functions and events into one huge production. A well filled up show was evidence enough that they have made a name for themselves in the dance industry. Their followers definitely turned out to the event. The dance production was greatly executed despite some of the people in the audience complaining about the speakers on the stage that disturbed them to have a clear view of the dancers (something that could have clearly been overlooked by most). The diversity of the dance forms was also impressively spread out from pantsula, museve, reggae dance to the setswana traditional dance (pardon me, I cannot seperate borankana, phathisi or setapa). It is clear that Future Dube the group’s director has a young and enthusiastic crew behind him, and with that, nothing can stop them from being the next Umkhathi, Iyasa or Siyaya. Definitely the future is bright for Khaya Arts (no pun intended). When I first heard of the Jazz Soul Sundaes, I thought “Ooooh boy here we go again, one of those flops Bulawayo has to offer”. However when I came across Morris Touch selling the tickets to his event, I was impressed. I could tell from then that he is a guy who knows what he is doing. Today I stand with so much humility to say the show was a sterling success. The audience was not your typical show “supporters” and the venue was refreshing (Green Gardens). The set up, with the whole wooden garden furniture on the lawn cannot go unmentioned. The mood… oooh my God, the mood was purely sensational. It allowed for both a good conversation and pure entertainment. The sound was exquisitely crisp (shout out to Sound Kulca). People turned out for the event and it was good to see both the young and old unified in song and dance. The line up was good with the legends taking centre stage. First was the Hudson Jazz that gave us the best that Jazz music has to offer. No one can dispute that Hudson Simbarashe is one of the most gifted guiter players in the country. As he gets older his wisdom and music seems to be intertwined in infinite measures. The band gave some of us youngings a good feel of what Jazz music is all about. The legendary Cool Crooners came in and left to a standing ovation. the old timers never disappoint and if there is a heaven for artists only we know that is where they are going. they have shown nothing less than dedication and commitment to their craft and you will be amazed that they still know their dance moves like they are 20 year olds. Their synchronisation is still amazing for people their age. The Outfit Band had the audience singing to some good cover songs. I could not help but notice how Mimmie and Xmile would make a good team. The two singers gave a great performance and their voices sync so well I could not ignore a collaborated album from the two. We would definitely get a soulful jewel if that was to happen. DJ Mellow T kept the audience entertained with some good old classic RnB in between intervals. That experience was nothing short of nostalgic for some of us the 80s kids.From the way it kicked off, Jazz Soul Sundae is an event to always look forward to every month. Dates for the April edition are soon to be announced. We need more positivity in Bulawayo!! We need more of such great events. Both events from this weekend proved we have what it takes. University graduate Jobless and broke Patiently waiting for Zimbabwe to heal.